You know a book is really good when you can’t stop thinking about it. You want to shirk all your responsibilities just so you can read it in one sitting. The Leaving by Tara Altebrando is one of these books. You will not want to stop reading it until you’ve reached the last page and finally know what the hell happened! I absolutely loved this book! The Leaving is super twisty, tense and heart-pounding. Tara Altebrando had me at the tag-line ‘Six were taken. Five came back.’ The blurb completely gripped me and I had to read it straight away. I got completely lost in the story and couldn’t stop thinking about it when I had to put the book down. It’s one of those books that I feel that I can’t say much about, for fear that I’ll give something away. The whole premise of the story is intriguing. Six kids went missing when they were 5 years old. They have turned up at home again eleven years later. Why now? Where were they? Who had them? Tara is very good at stringing the reader along, giving you tantalising pieces of the puzzle so that you have to keep reading to find out how all the pieces fit together. When I started I had my own theories about what had happened to the characters but I couldn’t have picked what actually happened. The story takes place over fifteen days from when the kids return and throughout the story we get the perspectives of different characters. We follow two of the returned, Lucas and Scarlett, as well as Avery, the sister of the kid who hasn’t returned. The returned desperately try to remember what happened to them, while their families adjust to having them back again (or wondering why they haven’t returned, like Avery and her mum). I think this is one of the best YA books this year and I highly recommend it. It’s a great read for those Year 7/8 readers who want to be reading YA too. Grab a copy of The Leaving now and get lost in this incredible story. There are some books that leave you feeling drained. Those books that grab your heart and throw it all about and mess with your mind. You get so emotionally invested in the characters’ lives that you feel their heartache, their turmoil and get completely blown away by the actions of the other characters. Justine Larbalestier’s new YA book, My Sister Rosa is one of these books. I can’t stop thinking about this incredible book. This is one word for this book – WOW! It is the most tense YA book I’ve ever read with possibly the creepiest 10 year old girl you’ll ever find in a book. I didn’t want to put this book down because I was afraid that something huge would happen when I wasn’t looking. There are times when I’ve finished a book that I wish I could wipe my memory of reading it, just so I could read it again and feel exactly what I felt that first time. My Sister Rosa made me feel exactly like this. It is such a full-on read, with so many twists, and I don’t think it would feel the same reading it a second time. The suspense I felt and the way that my heart broke for Che is something that I rarely find in a book. It just shows what an amazing job Justine has done of making her characters real and relatable. The story is told from Che’s point of view. He has known what his sister is like for years and he has tried to keep her in check. She seems cute and sweet on the outside but inside she’s nasty and poisonous. She works out how she should behave from watching and listening to other people. She promises Che that she will be good but she knows how to stretch the boundaries. While Che is keeping all eyes on his sister, he is also trying to adjust to life in another new city, working on his boxing, making new friends and trying to get a girlfriend. All of these things collide to make one hell of a book! Reading this book is like watching a train wreck. You know that something really horrible is going to happen but you can’t look away. You’re glued to the pages and flicking them so fast because you need to know what is going to happen. Rosa is both a horrifying yet fascinating character. You know she is psychopathic but you want to know more about her and the things that she does. As a parent she certainly makes you thankful that your own children aren’t like her, and it makes you wonder what life would be like if she was your child. I kept thinking that the way her parents reacted to her actions were unbelievable, but it also makes you think how you would react too. I’ve read so many great books so far this year but My Sister Rosa is by far my favourite. Put My Sister Rosa on the top of your to-be-read pile. You won’t regret it. Cat Patrick’s books are nothing but original. The best way I would describe her books are teen romance with a science fiction twist. Forgotten is about a girl whose short-term memory is erased each night and she can only “remember” events from her future. She falls in love and has to write notes at night to remind her about her boyfriend in the morning. Revived is about a girl who was one of the first subjects in a covert programme that tests a drug called Revive. She has died and been Revived five times, but in order to live a normal life and have relationships, she has to escape from the programme. Cat’s latest book, The Originals, is equally as original and gripping. 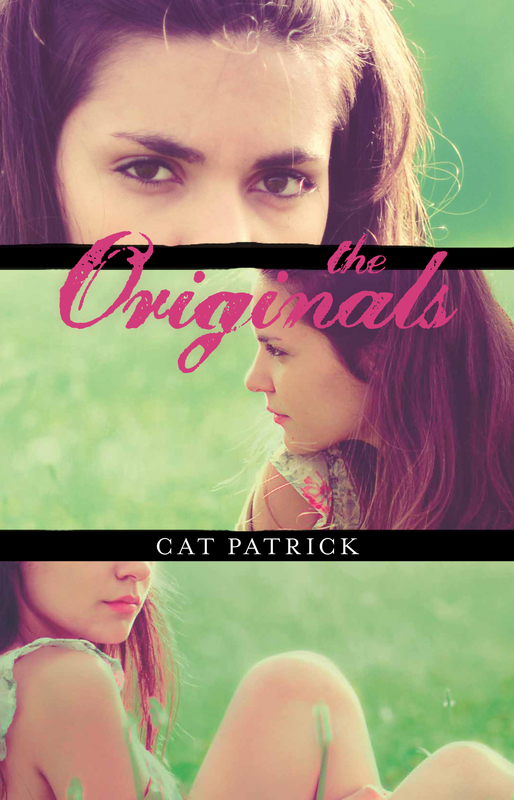 The Originals is a genre-bending novel that draws you into the lives of three very different girls who share one life. Romance, science fiction, mystery, suspense, secrets and lies are all mashed-up in this very cool story. One of the things I like the most about Cat Patrick’s books is that she keeps surprising me. Just when you think she couldn’t possibly top her previous book, she does. I love the way that Cat weaves science fiction into her stories and it’s this element that really draws me to her stories. Cat’s characters are always memorable and this is certainly the case with the Best girls. 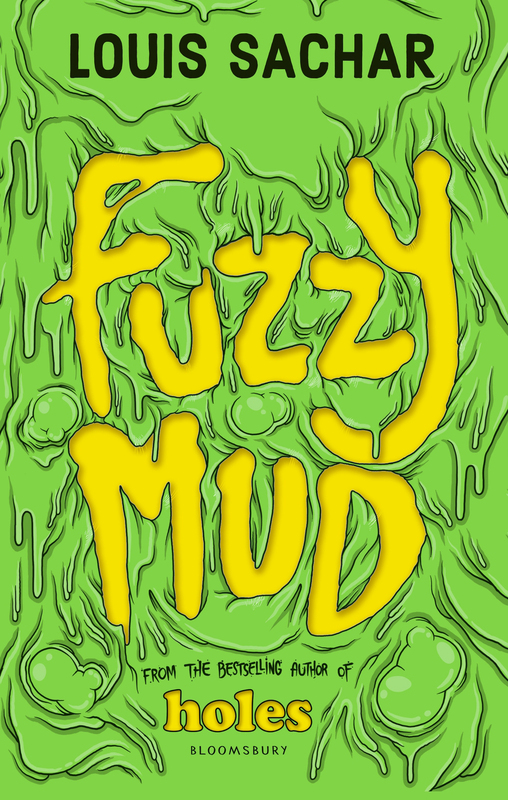 The story is narrated by Lizzie so you get to know her the most and get inside her head, but Cat really fleshes out the characters of Betsey and Ella too. Through Lizzie you get a sense of how frustrating, confusing, and unfair it is to live a third of your life. You are stuck taking the same subjects (even if you’re no good at them), if you’ve got the first or second part of the day you can never go out at night, and if two of you like two different guys you all have to decide which one you’ll date. I’m not a huge teen romance reader but one thing I really like about Cat’s books is that the love interest isn’t some super hot guy that drips testosterone. Sean in The Originals, much like Luke in Forgotten and Matt in Revived, is an average guy who is intelligent, talented and caring. As a teenage guy reading this book I would have found Sean alot easier to live up to than many other males in teen fiction. If you haven’t discovered Cat Patrick you don’t know what you’re missing. Read The Originals and you’ll be hooked. The Watcher in the Shadows is the latest Young Adult book from one of my favourite authors, Carlos Ruiz Zafon. His books are eerie, atmospheric and mysterious and The Watcher in the Shadows has hooked me in after only a few pages. It’s out now from Text Publishing. I’m very excited to be going up for the Auckland Writer’s Festival on Saturday to hear Carlos Ruiz Zafon. I’m really looking forward to hearing all about his books and getting some of my favourite books signed. Chris Morphew’s Phoenix Files is one of my favourite series. I got in to them last year before Chris came to New Zealand for the Storylines Family Day in Christchurch last year, and I was hooked from the first page of Arrival. They’ve got the perfect mix of action, suspense, mystery and science fiction that make them hard to put down. Fallout is the fifth book (in the six book series) and has just been released in Australia and New Zealand. Chris doesn’t waste any time getting straight back into the action and rocketing you along to the end of the world. There are 14 days until the end of the world. To tell you much about the story would only spoil it for everyone, but I will say this – Fallout is the best book in the series so far. It’s action-packed, explosive and there are shocks galore. Chris answers a lot of those burning questions you’ve had about Phoenix right from the start and leaves you on the edge of your seat at the very end. We haven’t seen much of Shackleton in the last couple of books but he comes back in all his sadistic glory in Fallout. He’s the best villain since Mayor Prentice in Patrick Ness’ Chaos Walking Trilogy. He’s one of those guys you just want to punch in the face because he makes you so angry. I’ve read the last 3 books one after another and I wish I could just keep reading and find out how it all ends, but I’ll have to wait until 2013 for Doomsday.